This Spring's edition of the New York Times Style magazine featured a light fixture that grabbed onto me and wouldn't let go. I followed their links back to the source and found out that there are three lights in this Future Flora collection. Hung together, Future Flora can turn any room into an installation. The Future Flora series is the product of Studio Toorn Boontje for Artecnica. Artecnica is an LA-based design company that commissions pieces from industrial designers the world over. 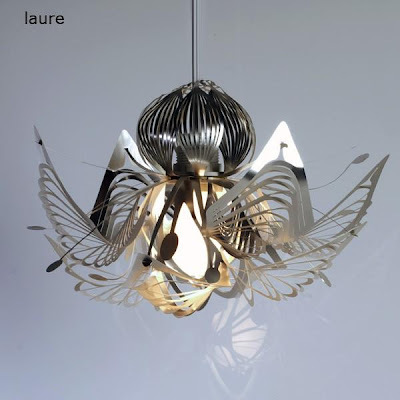 The Future Flora series consists of three models; the Laure, the Nadine and the Rugiada. All three are made from precision-etched metal sheets. I love seeing light and airy forms in metal and these babies are that in spades. Well-designed originals needn't break the bank either. 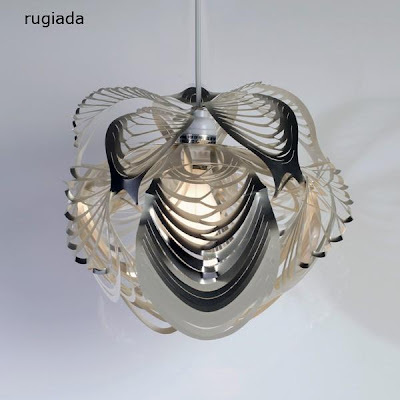 The Future Flora pendants are available from Unica Home for $99. 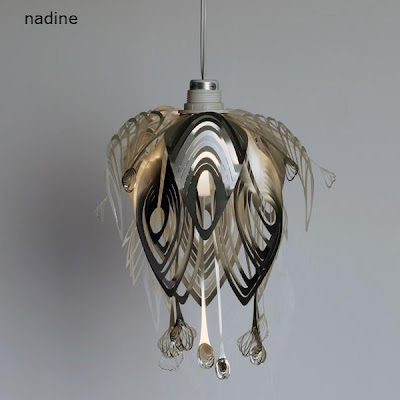 Why not do something original and distinctive when it comes time to buy lighting? 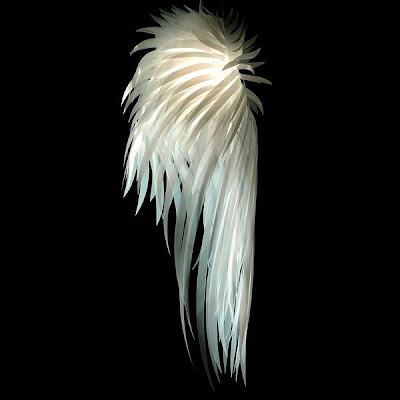 I have to confess that I have a fondness for Toorn Boontje, they are the studio who brought the world the Icarus pendant shown here. I can't think of another light fixture that has ever fired me up with the kind of passionate admiration the Icarus did when I fist saw it. Amazing. Paul, not saying these lights aren't distinctive or original but personally I am wondering; due to their design how in the heck wud you keep them clean? Off topic: Cud you tell me the page location of one of your postings which I believe was titled 'matching metals' (or something like that). Thank you. If I had them I'd keep them clean with the same mini-vac I use to vacuum out my keyboard and other electronic stuff. Paul, good thinking! The Dust Destroyer (Compressed Gas Duster) I guess wud work too. Thank you Brenda, I've been told that. Lovely! 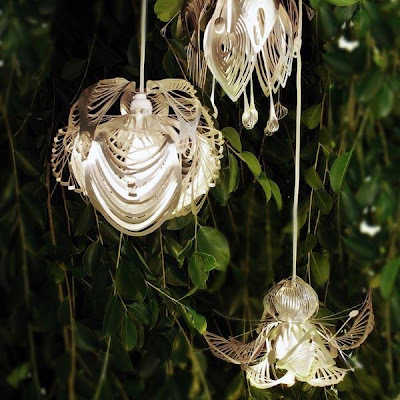 I have been a fan of Tord Boontje since I saw the Midsummer lamp at MOMA online ... so nice to see something great going into mass production :) Thanks for the post and finding the awesome, as always! Thank you and you're welcome Adrienne. MOMA's online store is where the Icarus stole my heart originally. I just checked and they're selling one of the Future Flora pendants at MOMAstore.com too. Only one of them though. Odd.